The poppyseed is one of the oldest most ancient seeds in the history of all humanity! The lemon. . . not so much. But that’s okay though, because Frank isn’t all snooty about mixing fabled flowers with lemons. 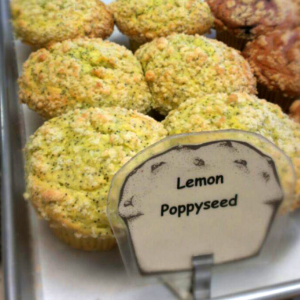 The result is the classic Lemon Poppyseed Muffin. Not only is it delectable but the poppseed itself is almost completely non-hypoallergenic not to mention is a possible resource for fighting cancer.